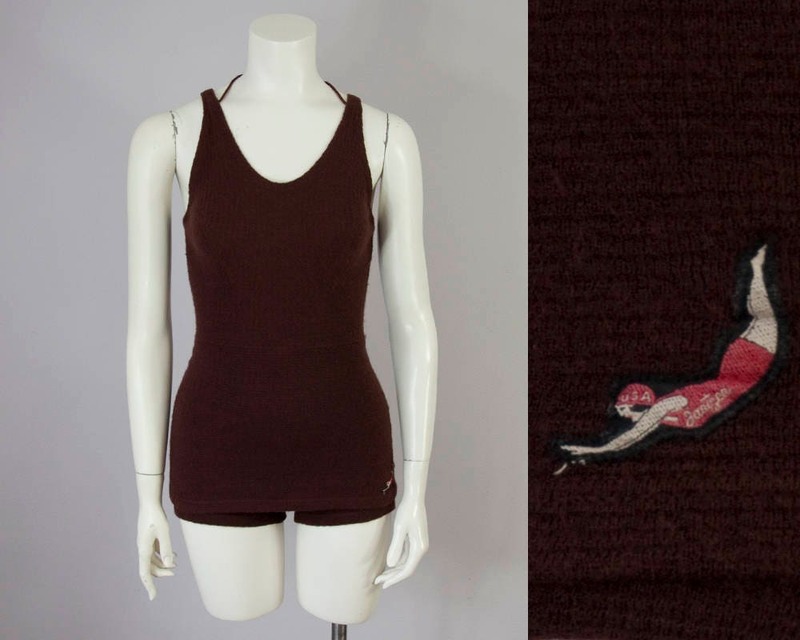 30s vintage Jantzen wool swimsuit. 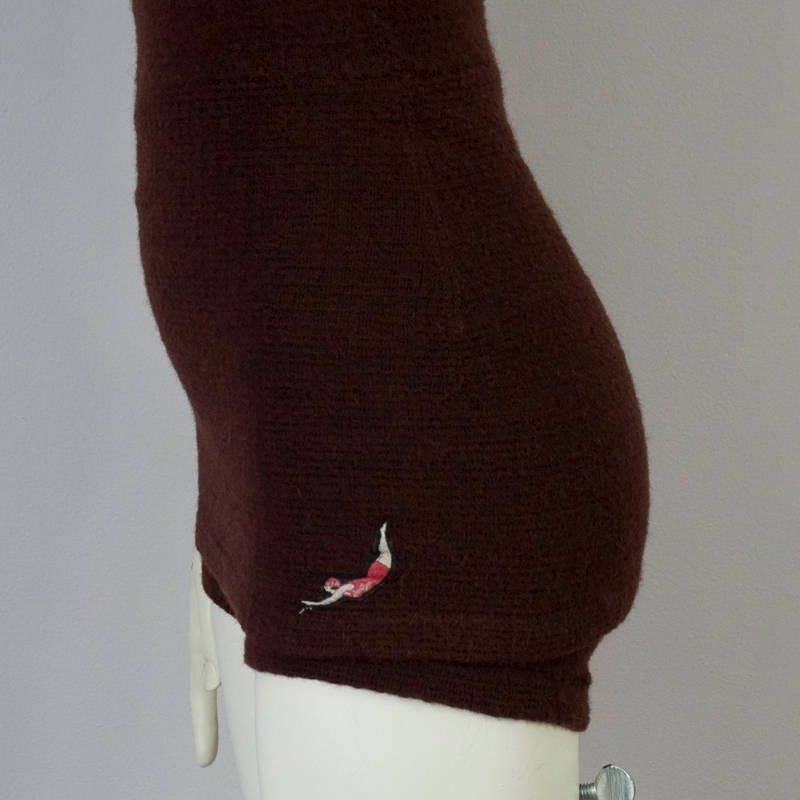 Iconic diver appliqué on the skirt. Chocolate brown textured wool -- great square pattern. "Boy shorts" underneath the "skirt". Wide placed straps with a halter string to keep the suit in place. Nice weight to the wool fabric. No lining. 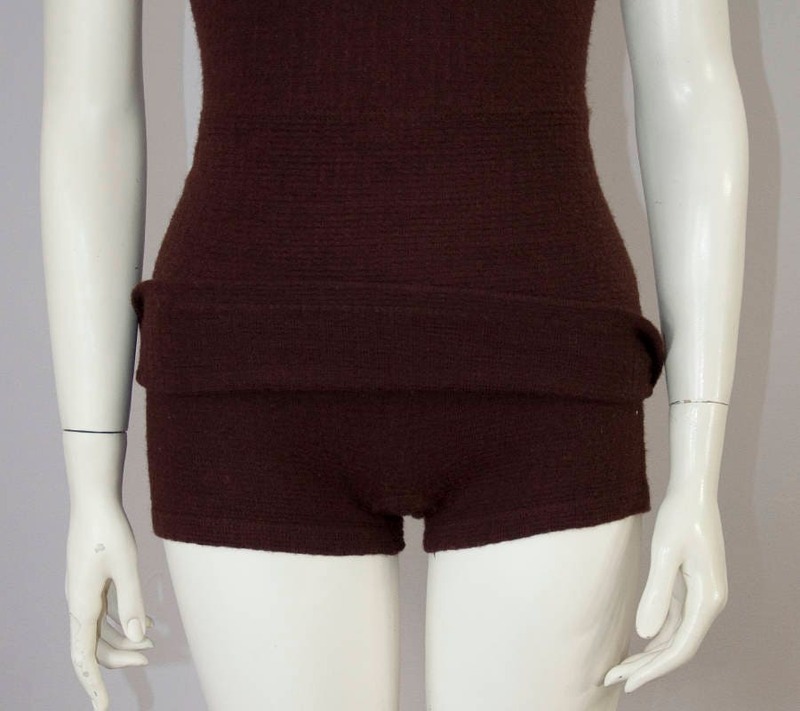 Modern Size: XS - Small; 2-4 US size -- Review measurements below to ensure a great fit. 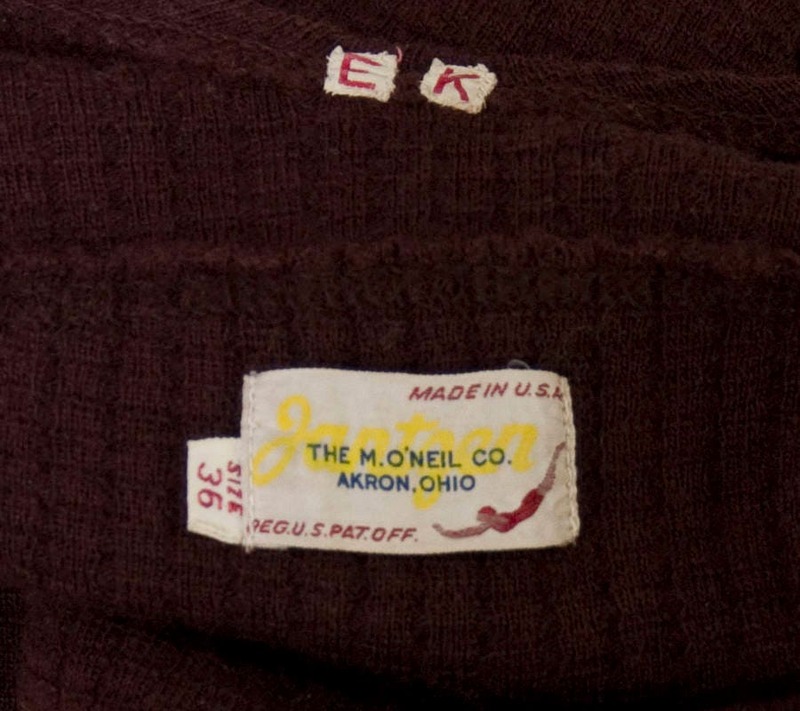 Imperfections: Small hole on side at seam as shown in photo. 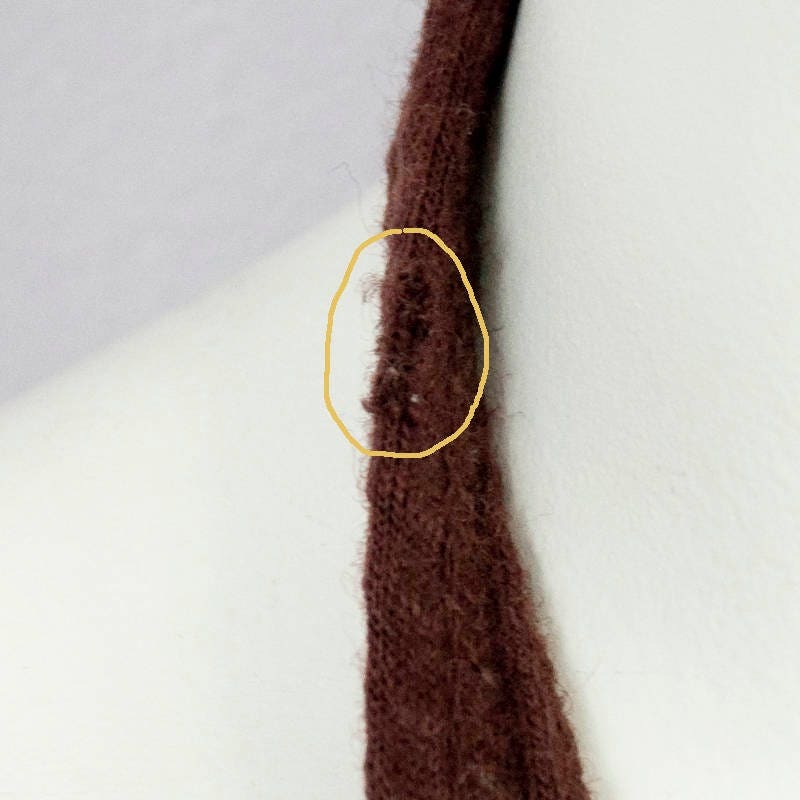 Hole at back shoulder strap along the outside edge as shown in photo. Some overall wear the the fabric and mild pilling. If you would like me to mend the holes before shipping it out then please send me a note. I'd be happy to do so. I like to leave it up to the buyer for older items. 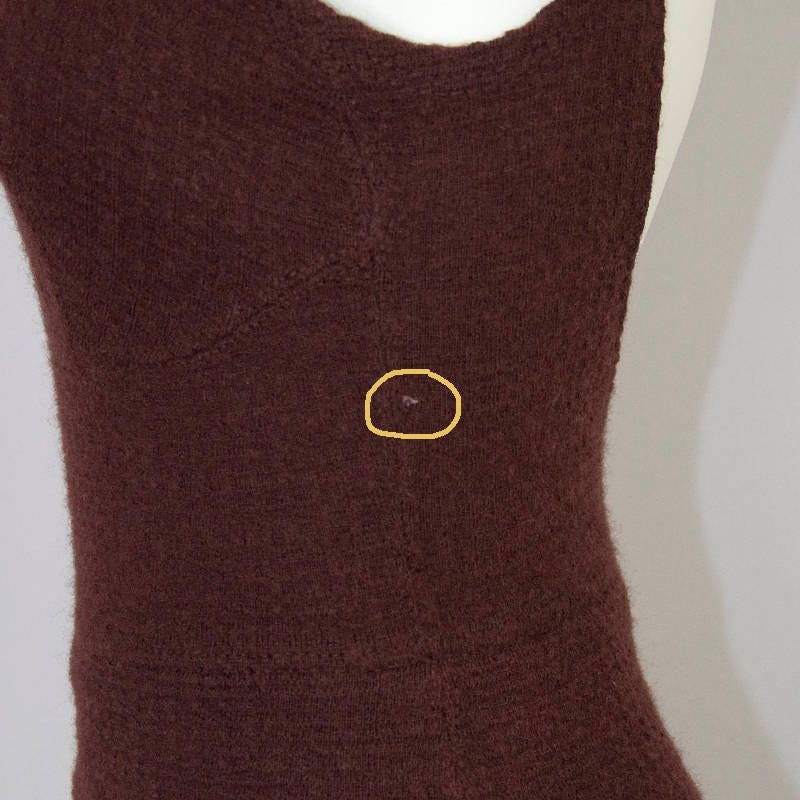 High Point Shoulder Strap to Waist Length: 15 3/4"
Pinned on mannequin at back shoulders in front photos to show proper fit.